"Ten broken fingers and toes. A dead accountant counts no more"
A gripping Kindle short read eBook from best mystery books author C T Mitchell featuring Detective Jack Creed in the bestselling Detective Jack Creed Murder Mystery Books series. A dead former UK accountant with ten expensive-looking rings on his hands shows up in an industrial waste bin behind the popular Cabarita Beach Resort. What makes this criminal investigation even more intriguing is the torture on the dead man’s fingers and toes—all broken prior to his death. Does this British accountant have a seedy past? A gripping Kindle short read eBook from women's detective fiction author C T Mitchell featuring Detective Jack Creed in the bestselling Detective Jack Creed Murder Mystery Books series. Australian Detective Jack Creed is immediately on the case seeking criminal justice, but sifting through the myriad of suspects including a battered wife, a recalcitrant son, an ex-lover and a missing secretary—all with secrets to hide—only makes this crime, thriller & mystery short story more mysterious. Was the murder by a hitman involving the mafia or revenge by seduction involving a sinister women’s murder club seeking sweet revenge? “Find the ring, find the killer” becomes Jack’s mantra—everyone has too many secrets to tell, but no one’s talking. C.T. 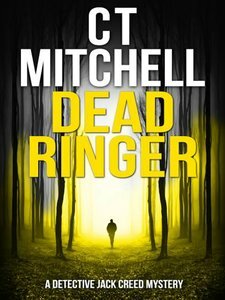 Mitchell, part of the new breed of Australian crime fiction authors, dishes up mayhem in this police procedural on a scale that can be devoured in a single sitting. Download book #2 of this Australian mystery novels series now and strap yourself in for another murder mystery thrilling ride from the tranquil seaside town of Cabarita Beach, north of Sydney Australia.